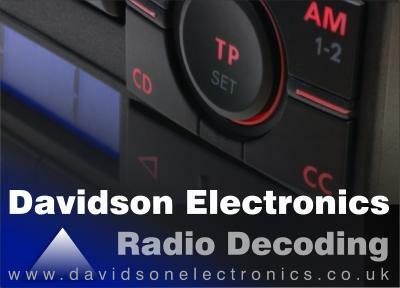 The image below illustrates where to find the radio's Model Name, Part Number and Serial Number. This is always on the right hand side of the radio's case and the radio will need to be removed from the dash in order to see it. e-mail me your radio model and serial number and I'll get back to you! Below is an example of a Philips radio fitted to a Rover. 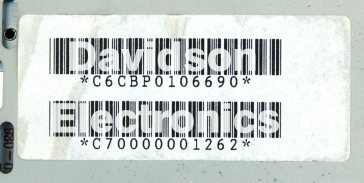 The serial number is engraved into the radio's metal chassis. e-mail me your radio model and serial number and I'll get back to you! I can work out the code from the part I have highlighted in yellow below. Typical models include the 2RC200, 22DC257, 22DC258, 22DC259. e-mail me your radio model and serial number and I'll get back to you! The image below illustrates where to find the radio's Model, Part Number and Serial Number. This is always on the right hand side of the radio's case and the radio will need to be removed from the dash in order to see it. e-mail me your radio model and serial number and I'll get back to you!